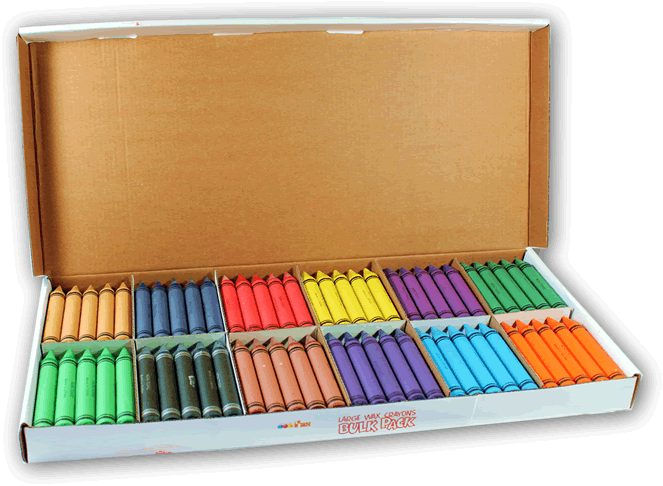 Set contains: 10 each of 12 colours = 120 - 14mm super thick crayons. This set is designed to be brought out to be used over and over again. 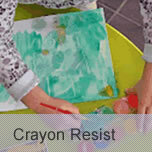 The crayons are thick chunky 14mm thick that makes them ideal to fit into little hands. The colours range covers all the basic colours that kids' love to use. 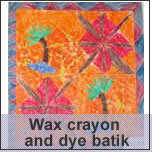 ﻿Ideal for use with FAS dyes to produce crayon resist work. Orange, Purple, Sky Blue, Deep Violet, Brown, Black, Leaf, Yellow, Green, Red, Dark Blue and Light Brown.